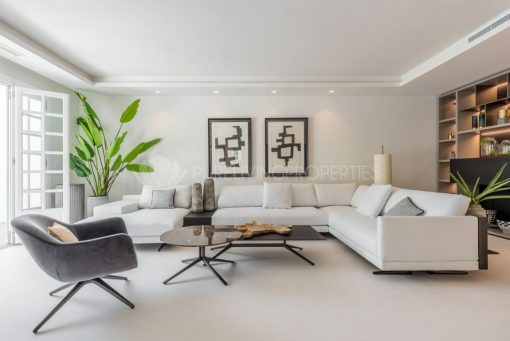 A fantastic completely refurbished duplex penthouse in Puente Romano. The property has been recently refurbished to a very high standards and boasts an incredible warm home feeling. The property comprises, large entrance hall with living room area with an amazing open plan kitchen with aisle, four large bedrooms en suite. and guest toilet. Large living/dining room open onto a large sunny covered terrace that enjoys amazing views over the community gardens. The property has the following facilities: A/C system, underfloor heating throughout, His & Hers dressing room, parking space and storage room situated within one of Marbella´s most exclusive communities, with fantastic mature gardens, pools and services as well as being close to all the amenities. 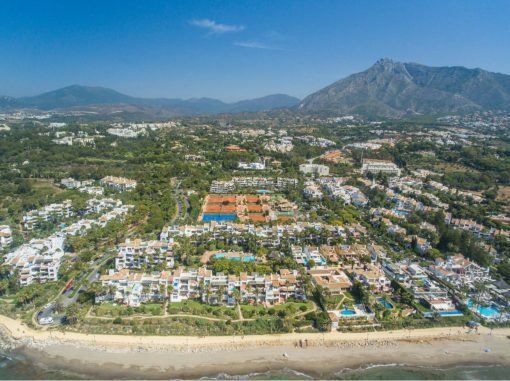 Please send me more information about ref PLP02721, Duplex Penthouse in Puente Romano, Marbella Golden Mile or similar properties.